Heather Derr-Smith was born in Dallas. Texas. She spent her early childhood sitting under an orange tree, zillions of hummingbirds buzzing around her head in her backyard in Los Angeles (or at least, that’s the way she remembers it). She spent most of her childhood in Fredericksburg, Virginia roaming the woods with civil war ghosts. She earned her undergraduate degree in Art History at the University of Virginia, where she also took poetry workshops with Rita Dove, Charles Wright, and Greg Orr. She is a graduate of the Iowa Writers’ Workshop with an MFA in Poetry. Her first collection of poems, Each End of the World (Main Street Rag Press, 2005) was about the war in Bosnia. Derr-Smith volunteered in a refugee camp during the war in Gasinci, Croatia. She continues to travel to the region, most recently to lead poetry workshops in Sarajevo and Tuzla, Bosnia. 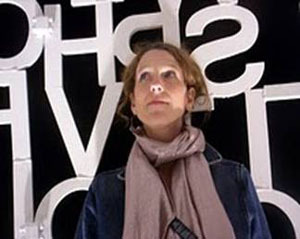 In 2008 Derr-Smith went to Damascus, Syria to interview Iraqi and Palestinian refugees, which led to her second collection of poems, The Bride Minaret (University of Akron Press, 2008). These poems explore boundaries and exile, geo-political and psychological. Her third collection is called Breath Hold Break Point, poems about floods in Iowa and fires in L.A. and the way desire reasserts itself out of disasters, both environmental and personal. Her poems have also appeared in numerous literary magazines such as TriQuarterly, New York Quarterly, Crazyhorse, Fence, Nashville Review, Phoebe, Sycamore Review, Valparaiso, and Diode among others. Was at Yelapa Bay, Mexico. Caught on a fishing line, tangled and hooked. Who bought a third of a life for a stranger. Wondered where he was, if near. Beyond all believability, and calmed. My father, who left when I was very young, cradled the pelican in his arms. And always carried his sewing kit in his pocket. He was prepared for anything but fatherhood. But at the bend in the bay he mended the hurt bird. The fluid dark of the room into it. A piece of woman, of mother, and me. Above Damascus, God sees everything. Not a hand over me, God says. Sometimes he becomes Innana, Mistress of the Me. Scattered against the hill, a mirage of starry sky. Washes his green and pink bicycle. Recant all their summer promises. The little rooms grow cold. Space heaters crackle to life. And arbors of jasmine are virescent memories, suspended.